The Lord's Prayer CD is Loving Musical Gift for Christmas and other occasions. 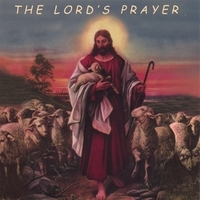 The Lord's Prayer CD presents six arrangements of a new, melodic version of The Lord’s Prayer. The new Lord's Prayer melody . . .
* is hymn-like - sweet, gentle, loving, uplifting, and easy for children to learn and sing. * has a spiritual quality that eases the mind, touches the heart, and comforts the soul. * provides a rich melodic and harmonic expression to the beauty of The Lord's Prayer that puts people in a reverent frame of mind. (2) vocalist Carrie Manolakos, an exciting young vocalist with the voice of an angel. Interspersed among these arrangements are four lovely original instrumental compositions that can be used either as preludes or post-scripts to the performances of the Lord’s Prayer. These instrumental compositions fit well in any combination with the performances of the Lord’s Prayer thereby allowing great flexibility in listening enjoyrment. Robert Ashford's music is aired on radio stations throughout the USA. His compositions will please anyone who loves beautiful melody and harmony. His melodies are immediately appealing and grow on you the more you hear them. Ashford’s music has a calming and centering quality that promotes concentration and is good for children of all ages. * Noted musicologist Don Campbell, champion of "the Mozart Effect," described Ashford's music as "both awakening and calming at the same time, ...clean, beautifully structured and inspiring." * Josy McGinn, former producer of the radio program "Music Before Bach" says, "With extraordinary originality, Robert Ashford builds on centuries of melodic development from early madrigals through Schubert and beyond, adding fresh contemporary expression, to compose truly exquisite new melodies that will be borrowed, arranged, and orchestrated by others well into the future." * “Luminous beauty” were words used by Australian Composer Simon Wade to describe Robert Ashford’s music. * According to BMI's Concert Music Director, Ralph Jackson, "Robert Ashford's music is receiving an unprecedented level of radio air play.... Ashford is truly one-of-a-kind."